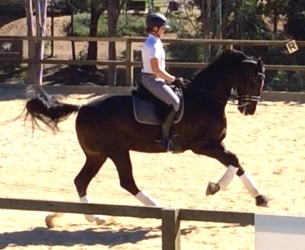 Recently selected on the Ipswich Saddleworld 2019 QLD State Talent Squad, imported 5 year old, 16.1 hand gelding, VooDoo, by Dark Pleasure, out of an Inspektor mare, is sadly offered for sale. With an outstanding first season under his belt, including 3 Regional Championships, the QLD State Novice Championship title, and 3rd overall in the Novice at the Australian Championships, this stunning horse is perfect for an ambitious rider, junior, amateur or professional. He is offered for sale to an approved home only. 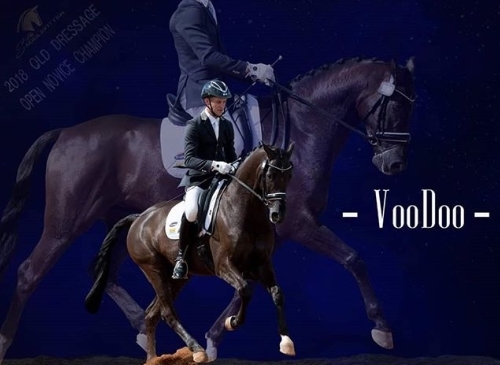 VooDoo's paces, conformation, temperament and trainability are perfect for the dressage athlete and the judges love him. For an ambitious rider wanting an equine star. 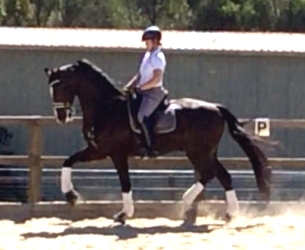 Don Diego is a 15.1 hand, 9 year old Arabian warmblood by Don Gold. Established at novice level, training elementary, ‘Donnie’ is a lovable dual registered gelding, with three lovely paces. He loves going out and about and won 2016 NADEC High Point Preliminary Champion. His owner sadly has no weekday time to ride, and feels he is going to waste. Perfect for an ambitious junior rider for interschool or pony club or an amateur rider wanting an educated, fun horse to bond with. Siriano is a 17.2 hand, 12 year old, gelding by Sir Donnerhall out of a Flanuer/Lucano mare. 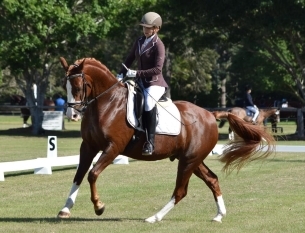 Competing Small Tour with great success, inlcuding QLD State Squad selection, Hank (as he is affectionately known) has 3 super paces and is a very enjoyable ride. Hank would be an asset to any competition home wanting a serious FEI horse. 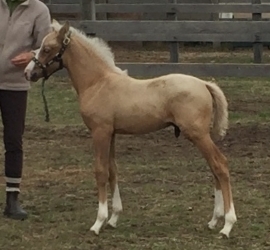 Jardin Parc Sophie, 13 hands, 11 years old, by Mondiso Park Esquire, out of Jinchilla Starlight. 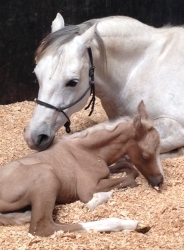 Registered Australian Riding Pony, ‘Sophie’ had much success in the show ring and dressage arena, before becoming a mum. A proven broodmare and delightful mum, Sophie had a stunning colt foal, from licensed German Riding Pony, Casino DeLuxe, and can be sold back in foal to this stunning Champion stallion. 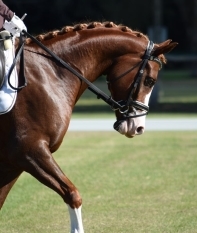 This is a wonderful chance to breed amazing dressage ponies!